An eraser shield is a thin sheet of stainless steel or plastic with slots and holes of different shapes. They are designed to allow erasers to be used through them to erase lines and text without removing lines close by which do not need to be (or should not be) erased. 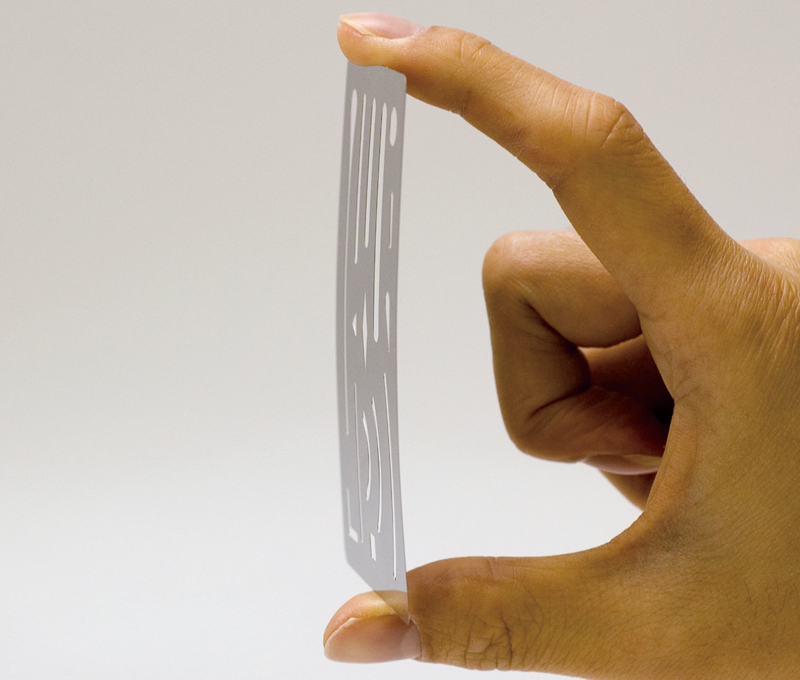 They are about the size of a business card but the shape of the slots depends on the manufacturer. Some stainless eraser shields are made of see-through steel mesh so that the sections to be erased are easy to see. To use the shield, place a slot with the matching shape over the part to be erased. Then use an eraser over the top. If the lines cannot be removed in one go, move the shield little by little. Make sure the shield does not move when rubbing with the eraser. 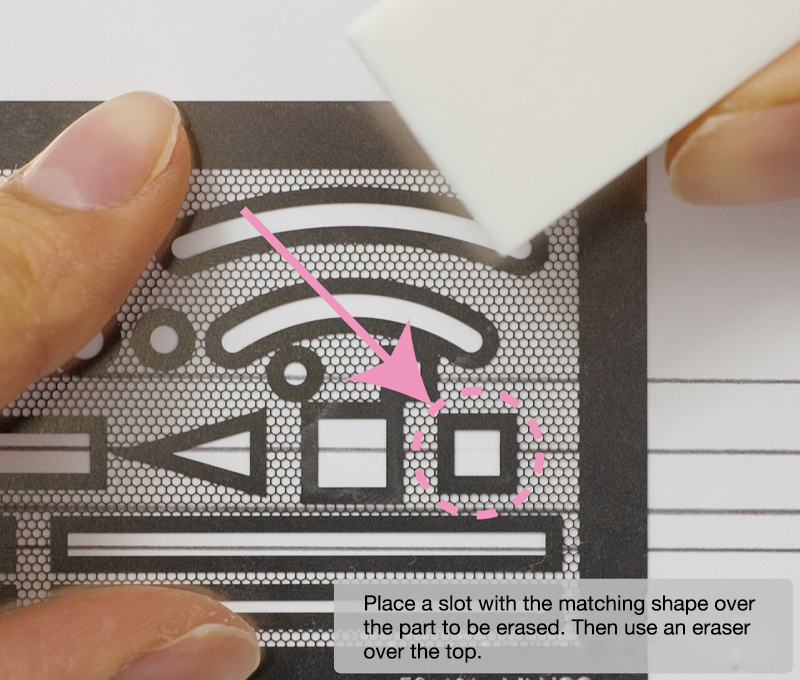 The eraser shield holds the paper down and prevents it from getting creased. This is particularly useful when making corrections on tracing paper and other thin types of paper. Be careful not to cut your fingers on the edges because the eraser shield is very thin. 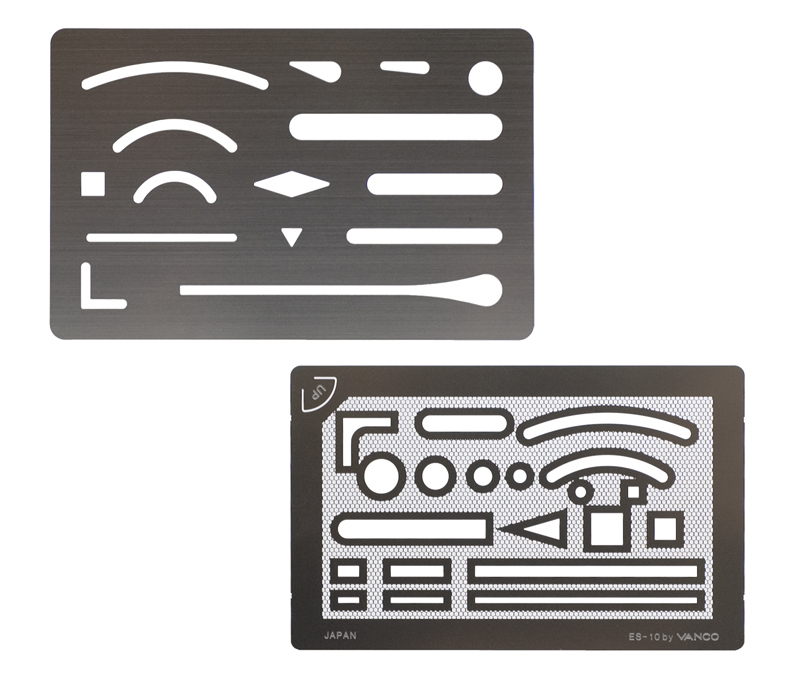 Eraser shields can be purchased at shops selling design tools and large stationery stores. An eraser shield is very thin.